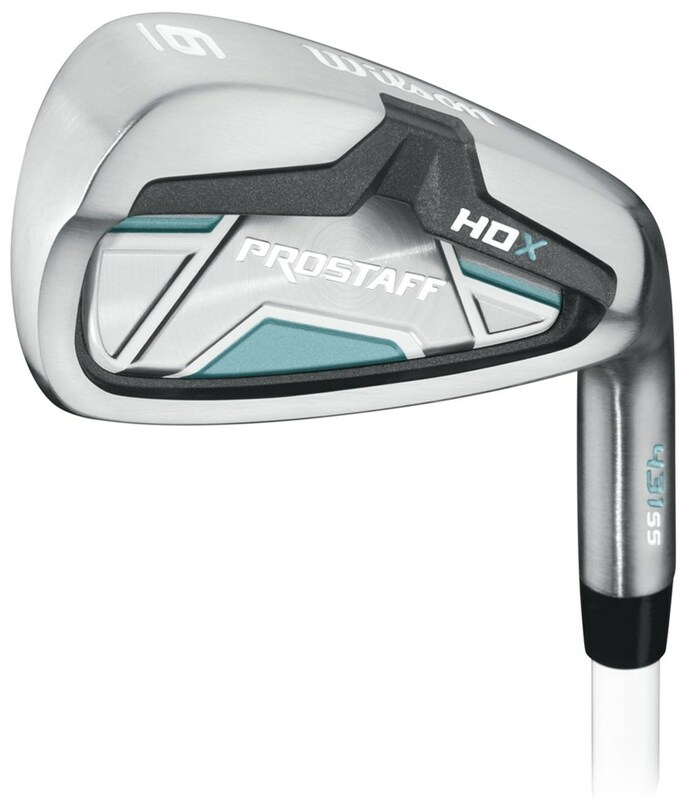 The Wilson Ladies Prostaff HDX graphite shafted irons feature an oversized head technology and lightweight shaft combination that will make it easier to get the ball airborne and hit nice and straight. 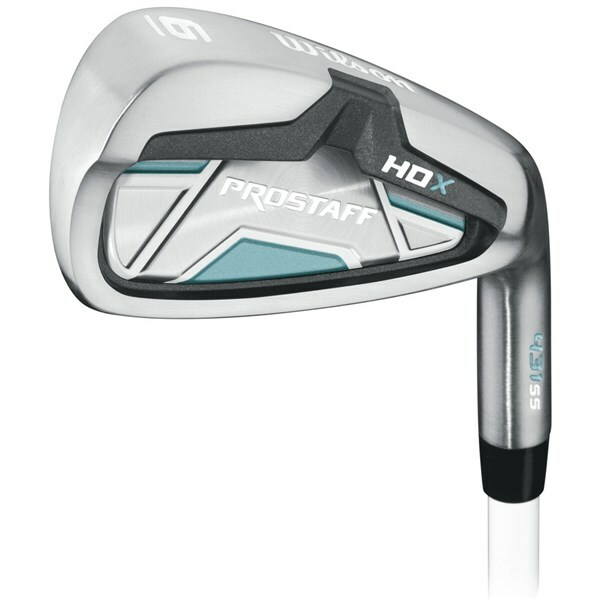 Wilson have used a large oversized head design that features an undercut cavity for extreme perimeter weighting. The perimeter weighted cavity design will help stabilise the head at impact to reduce twisting and maximise forgiveness. A low centre of gravity (CG) helps get the ball airborne throughout the whole set to increase carry distances. The lightweight graphite shaft has a low kick point to further help with getting the ball airborne as well as helping you swing the club a little faster for better distances.